Complete your festive party look with these fantastic beauty buys. The Christmas party season is finally here, and this means lots of preparation for a big festive bash with work colleagues and friends. Finding the perfect dress, matching shoes and accessories is one of the most enjoyable parts of Christmas party preparation, but there is no denying the thrill of beautifying the look on the final day. 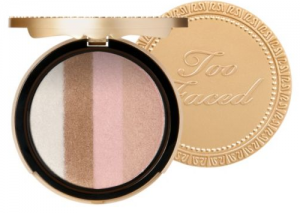 It may be cold and dreary outside, but with this colourful bronzer you can give your complexion a gorgeous sun-kissed glow with the sweep of a brush. Featuring four different shades this product is suitable for all skin tones. For an easy runway look, Ciaté Glitz Fix has you covered. 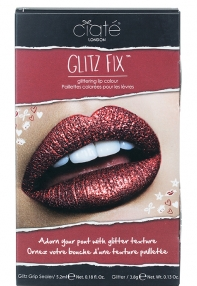 Shimmery lips are bang on trend this party season, and all you need to do is dust glitter onto a transparent sealer, which you can then roll directly onto your lips for a glamorous nighttime look. Give your nails a rich shimmery coating with this dazzling high-gloss shade. Infused with cream, pearl and glitter, MAC have the perfect formula to make your manicure stand out without taking attention away from your dress. Invest in this sleek pigmented palette and you have your eyes, cheeks and lips sorted. 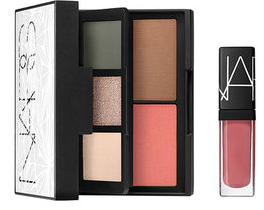 NARS have included three limited edition eyeshadow shades, as well as a Dolce Vita lip gloss, a bronzing powder and blush. Perfect for popping into your clutch bag for evening touch ups. For maximum impact, this party season is all about highlighting eyes with intense metallic shades. Bourjois’ collection of waterproof eyeliners range from jewel-blue to rich, chocolately black – perfect for making those peepers stand out. If the idea of doing your own make-up for a special event is a bit daunting, there is the option to have it done professionally. To find out more, please see our professional make-up page.